Warts. Warts are small, benign skin growths that appear on the surface of your skin. Warts are caused by a virus called human papillomavirus (HPV). They can be rough to touch and you may also notice some small black dots on the surface caused by clotted blood vessels underneath the surface of the wart. Though they are generally not dangerous and may even go away on their own, they can still be embarrassing, depending on their location. However, be advised that warts are contagious and even sometimes painful. For those reasons, some people will choose to have them removed. Let’s start with the myth. Have you ever heard that you can get warts if you touch a frog or a toad? Well, that myth is not true. As mentioned above, a wart is caused by a virus that can be transferred from person to person. So, what you really need to avoid are, not frogs, but instead people with warts. So, how do people get warts? You can actually find warts almost anywhere on your body. Warts are easily transmitted by touch. 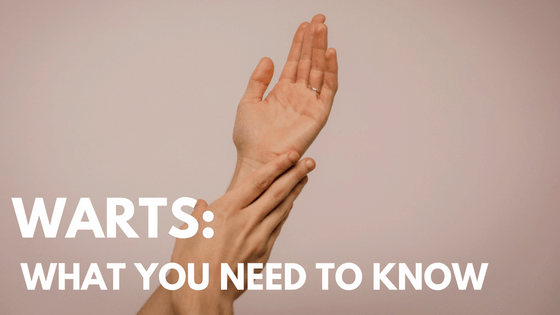 So, what that means is that if your skin accidentally contacts an area of skin from a person with warts, or even something that a person with warts has touched, then there’s a great possibility that you can also get warts. Do not pick at your warts. Cover your warts with a clean bandage and change it regularly. Keep your hands and feet dry as much as possible. Wear shower shoes (flip-flops) instead of going barefoot when in a locker room, communal bathing facility or in places where people walk around without shoes. Lastly, don’t worry too much. Sometimes, despite your best efforts, it’s really hard to prevent warts. All you can do is follow hygienic care guidelines. Persistent or are spreading despite your best efforts. Growing in such a way that it affects your activities. Not clearly diagnosed as being a wart. If you’re an adult and numerous warts appear, as this may indicate an immune system malfunction. Bear in mind that it’s okay to be overly sensitive when it comes to your skin. So, if you are unsure of your current skin condition, please don’t hesitate to get professional help from a trusted dermatologist like Associated Dermatologists. Better safe than sorry!